King Khan’s babe Suhana Khan is studying in London who often comes to India to visit her parents and is snapped many a times with his father at the social events by the paparazzo. Recently, her picture gone viral at the social media in which she is donning in black off shoulder crop top teaming up with black denims leaving her tassels loose on her shoulder, completing her looks with blood red lip color is slaying the young brigade. In another picture Chunky Pandey’s daughter Ananya was accompanying her and were seen outside Sanjay Kapoor’s home, the picture is clearly showing the bonding between the babes. On professional front Ananya is debuting from the sequel film Student of the year-2, whereas Suhana’s entry in bollywood is yet not made official at the social media. 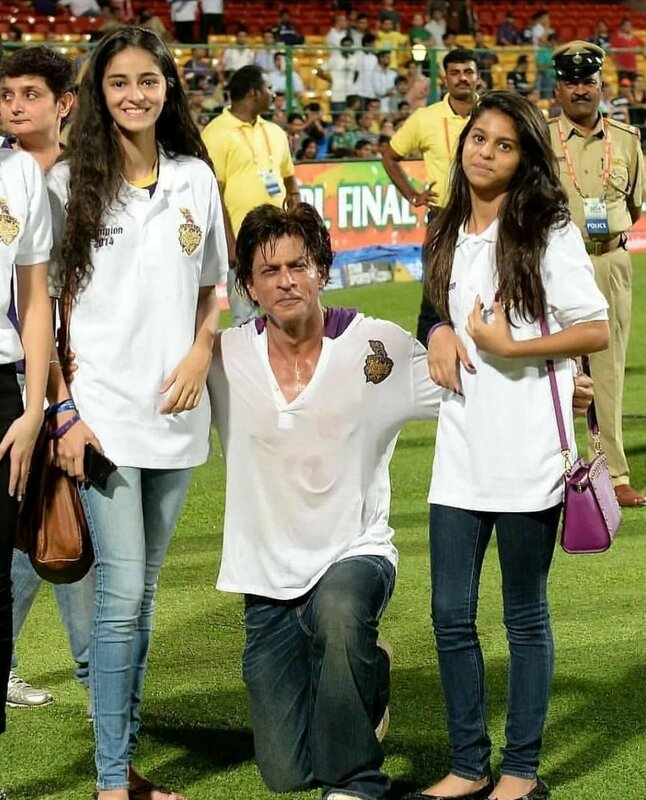 But SRK was once found saying that they want Suhana to complete her studies first. However, he off course supports her daughter in acting and direction and Suhana was seen seeking tips over the acting. Although, she has no film to her credit but her fan base is huge at the social media platform.